ENI, Sonatrach seal gas supply deal. - The Maghreb Times ! Home Economy ENI, Sonatrach seal gas supply deal. (ANSA) – Rome, December 13 – Italian oil and gas giant ENI and Algeria’s Sonatrach have reached a deal covering almost 20% of Italy’s gas imports in the 2016-207 thermal year, the Italian company said in a statement Tuesday. Thermal years run from October 1 to September 30. The deal was struck based on “commercial terms in line with relevant market conditions” and within a Framework Agreement signed by both parties on November 25, the ENI statement said. 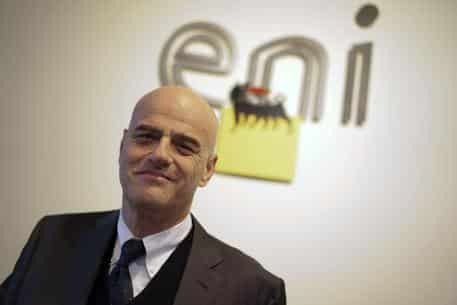 ENI CEO Claudio Descalzi pronounced himself “satisfied” about the deal and about the “strategic collaboration with Sonatrach, which also covers prospecting and production and a recent accord on renewables”. Previous articleLarbi Tadlaoui is innocent after legal advise from Norton Rose Fulbright: Tadlaoui’s Defense. Next articleAlgerian underworld helping traffickers smuggle potential terrorists into UK . PICS: Algeria, the fulcrum of revolutions .